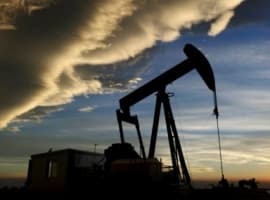 Pioneer Natural Resources just published its first Sustainability Report, a sign that a growing number of oil companies are feeling the heat from investors over climate change. Environmental groups have mostly targeted the largest oil companies, both because their sheer size means that they have a larger impact on global greenhouse gas emissions and because of the symbolic value of forcing energy titans to change their act. 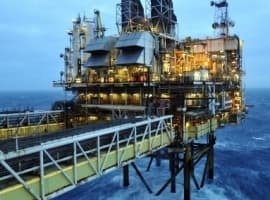 Activist investors, for their part, are concerned about the loss of shareholder value if oil companies fail to pivot with changing business environment. After years of resisting its own shareholders, ExxonMobil recently caved to pressure and said that it would publish details of its exposure to various climate threats – regulatory threats, peak oil demand, low prices, etc. – although that came after a shareholder resolution passed earlier this year calling on them to do so. Pioneer Natural Resources, a Texas shale driller and not an oil major like ExxonMobil, also sees the writing on the wall and it too was the target of shareholder resolution earlier this year. Pioneer’s Sustainability Report is a response to that vote. “Climate change is an important concern for Pioneer and our stakeholders, and our strategy is to proactively manage our environmental footprint and emissions,” Pioneer’s CEO Timothy Dove said in a statement. The acknowledgement of the threat of climate pressure from Pioneer is notable. “It is significant that Pioneer, perhaps the most influential company in the Permian, is publishing a sustainability report for the first time," Andrew Logan, who directs the oil and gas program at Ceres, an organization that pressures companies to make more sustainable investments, told Axios. "It should lead to pressure on its peers to follow suit." Despite admitting that climate change is going to force policy and regulatory responses, as well as a gradual shift away from oil and gas, Pioneer was unbowed in its report, even going as far as arguing that it will thrive during this energy transition. That is because Pioneer does not see the energy shift – whether from carbon taxes, regulatory pressure, or the adoption of alternatives – as a major threat. Instead, in this scenario, only its higher cost rivals will be put out of business. Pioneer even took the opportunity to boast of its position – as the largest acreage holder in the Midland Basin within the Permian, Pioneer is sitting on some of the lowest cost shale in the country. 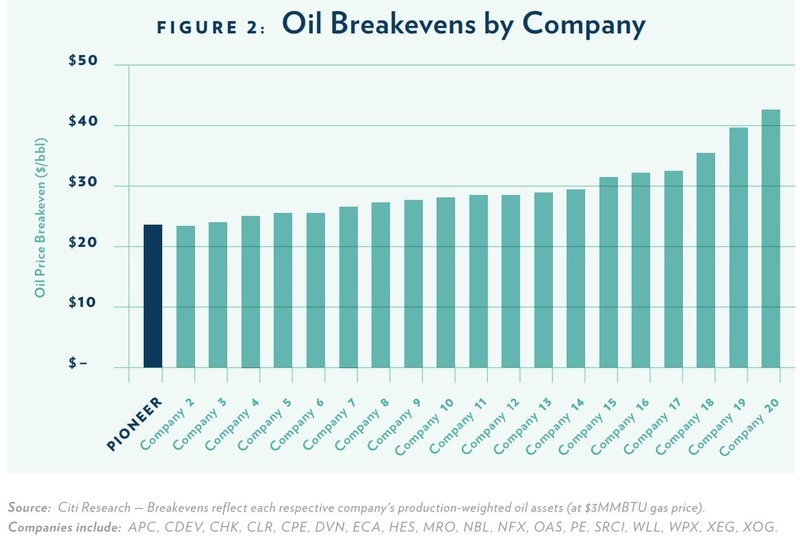 Pioneer says the Midland has a breakeven price of about $24 per barrel, and Pioneer, specifically, has some of the lowest breakeven prices when compared to its peers. That sounds pretty bad for an oil company, but there are still a lot of barrels that would need to be produced to meet market demand, which is why Pioneer says its low breakeven costs ensures that it will be one of the suppliers sticking around for the long haul. At the same time, Pioneer is thinking about some creative alternatives as the transition to cleaner energy unfolds. It is exploring leasing some of its acreage to wind companies while also producing oil and gas from the same land, according to Axios. Leaving Pioneer aside, many oil companies will need to think of similar ways to diversify themselves to guard against an abrupt decline in shareholder value. Royal Dutch Shell, for example, purchased Europe’s largest developer of electric vehicle recharging stations a few months ago, and more recently, it acquired a UK-based utility. Big Oil is becoming Big Utility in this case. The other oil majors are trying different variations of this. Total SA owns a solar panel manufacturer, BP just announced a $200 million investment in a solar company, and just about all of the oil majors are increasing their investments in natural gas, which they view as a much safer investment over the long-term. But as Pioneer argues, while oil demand could fall, the world will probably still be consuming a lot of oil for a long time. As demand declines and prices fall with it, the companies with the highest breakeven prices will succumb to this new world order first. Pioneer and its peers at the lower end of that cost structure do not plan on going anywhere anytime soon. 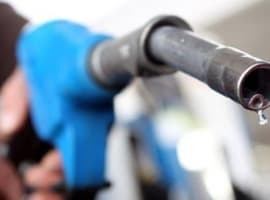 Pioneer and other companies forecast continued strong consumer demand for crude. It's easy to imagine that this will be the case. Meanwhile, an awful lot of us consumers would like to use less of their product, for a whole host of reasons. Speaking for myself, those reasons are health, clean air and water and maybe somewhat surprisingly: national security and a more peaceful world. I'm for oil companies realistically declaring business risk. But I also hope to see statements to the effect that these companies are now looking to be sustainable energy companies -- but not limited to supplying fossil fuel energy.